There are 2 Palio horse races in Siena every year, on July 2nd and August 16th. The race itself only lasts ninety seconds and the prize is a painted cloth banner. But it is much more than a mere horse race: while it may seem a medieval ritual for tourists, it is in fact the living heart of Siena. “Palio is Life,” as the Sienese proudly say. An epic and intimate portrait of this medieval horse race in one of the most beautiful squares in the world, seen through the eyes of its jockeys. 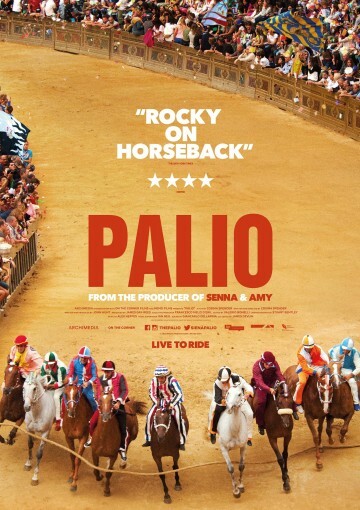 The good, the bad and the ugly of the Palio mirror Italy’s passion, romance, glory and corruption.